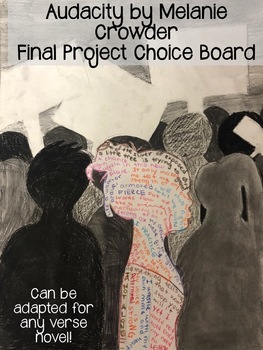 After completing Audacity by Melanie Crowder (or adapt to a verse novel of your choosing) students will pick from eight final project options. 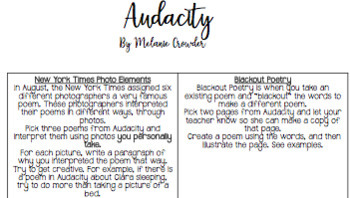 These projects all celebrate poetic language in some way, such as blackout poetry. Rubric is only included for the one-pager, but more rubrics to come this summer and will be free for those who purchase.